Located in Baltimore, Flawless Floors is a premium service hardwood floor contractor, licensed, bonded, and fully insured in the state of Maryland. We are family owned and operated. 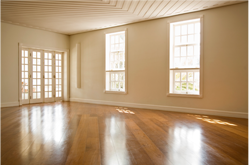 We specialize in sanding & refinishing, restoration, custom staining, repairs, buff and re-coats, and installation of all hardwood flooring and laminates. Our goal is to ensure complete customer satisfaction. We serve all of Baltimore County, Harford County, and all surrounding areas. You will get the best job, for the best possible price, guaranteed! Let us sand and refinish your wood floors to again to perfection, or install any type of hardwood, exotics, or laminate flooring. We can help you with all of your hardwood floor needs. Call today for a free estimate!